Book lovers now have a new spot in town to get their fix. The new arrival to Germantown, called Uncle Bobbie's Coffee & Books, is located at 5445 Germantown Ave. The bookstore comes from Marc Lamont Hill, an American academic, journalist, author, activist, and CNN comentator. He's also a professor of media studies and urban education at Temple University in Philadelphia. Established to honor Hill's uncle, the shop is part book store, part cafe, and part hangout spot. It features an array of books, literature, and magazines by black authors, and fills a void in the community, Hill told Philly Magazine. On the menu, expect to find a variety of mainstay coffee drinks, light cafe fare like sandwiches and pastries, and plenty of curated books for all ages. The new bookstore has already attracted fans thus far, with a five-star rating out of 11 reviews on Yelp. 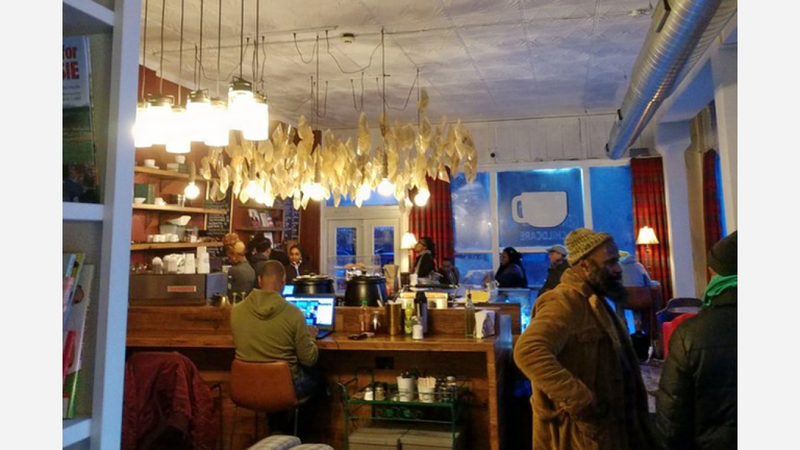 Diana H., who was among the first Yelpers to review the new spot on January 1st, said: "We drove down from the suburbs to check out a new bookstore and support a black-owned business. Uncle Bobbie's Coffee & Books made it a trip worth our while!" Yelper Jutt W. added: "If it was in my neighborhood, I'd go every day. I'm still going to come here whenever I'm in the area. Coffee is really good and so are the sandwiches." And Mike T. said: "What a wonderful addition to the neighborhood! From the delicious coffee, pastries, and sandwiches to the curated spread of books, knowledge, and stories, Uncle Bobbie's is truly a gem." Intrigued? Stop in to try it for yourself. Uncle Bobbie's Coffee & Books is open Monday-Thursday from 7am-9pm, Friday from 7am-11pm, Saturday from 8am-11pm, and Sunday from 8am-5pm.